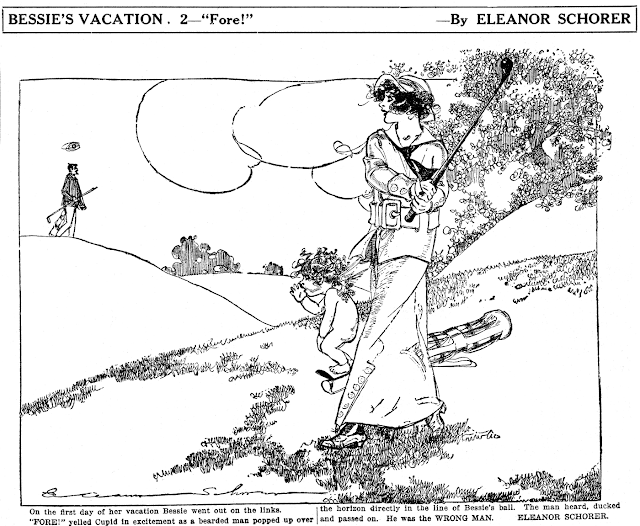 Eleanor Schorer was a Nell Brinkley imitator, but she was so darn good it seems a shame to tar her with that brush. Let's say that she did what the market demanded, and did it very, very well. Schorer created many short-run romantic panel features like Bessie's Vacation for the New York Evening World between 1912 to 1916. Later her cartooning appearances became rare as she got into fashion illustration and children's features. Bessie's Vacation has no real story to speak of -- each panel depicts a romantic opportunity for Schorer's various 'Bessies' on vacation, be it in the mountains, on a cruise, or at the beach. 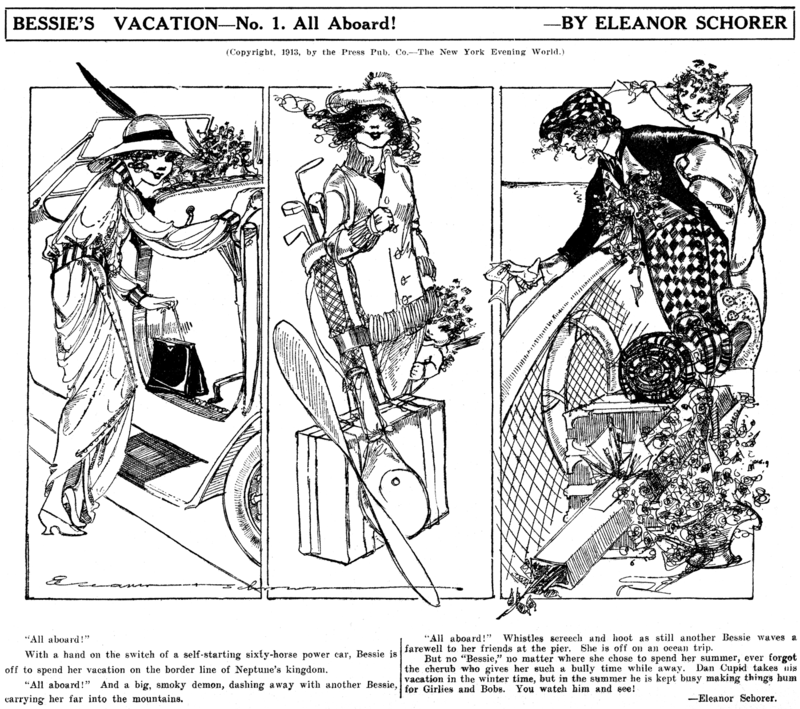 This weekday series was produced for the summer papers in both 1912 and 1913. The first year it ran July 17 to August 17, and the second it ran in twelve numbered installments from July 2 to August 6*.